I don’t know if it takes Twain’s “courage”, or if it just takes a step of human forcefulness to live “out loud”. But Bagpipers, along with musicians of all types, have to do it all the time. We need to. If we don’t, we wont get to follow thru with what we’re here to obviously do. Bagpipers live “out loud” with a unique instrumental voice. It needs to be instantly, and I would say cared for so it can instinctually, be able to produce a consistent, harmonious musical quality — in nearly any physical environment. 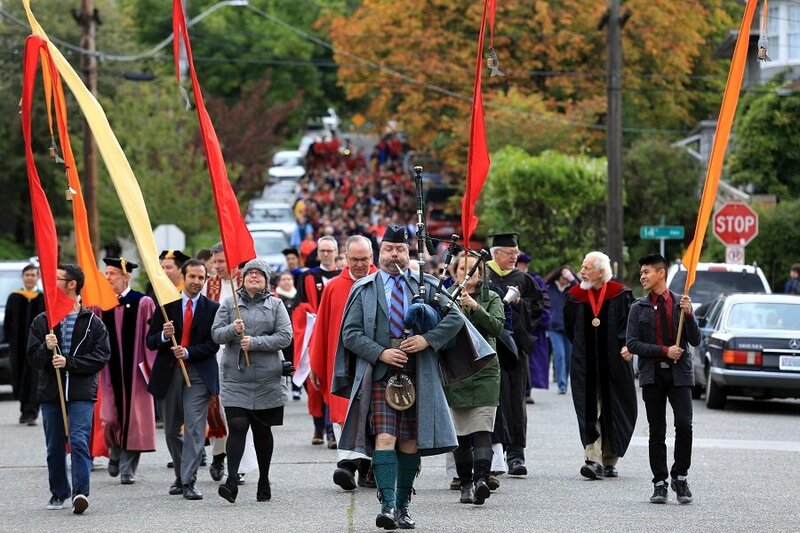 Whether you’re on the roof of the Space Needle, or processing astronauts, or an archbishop, or a couple to their wedding (at sea level or a mile up), leading university faculty with students a mile to ritualize opening studies for the year. Or, as documented in my next blog post — taking a 99 years young Grandmother out the door for some piping on her birthday (over 30 years time). All this, with an instrument that is just made technologically out of some delicate ingredients (I’ve never been let down by my instrument for a performance — I love the maintenance and prep of my instruments — it’s a great challenge and keeps my applied science and creativity thriving). 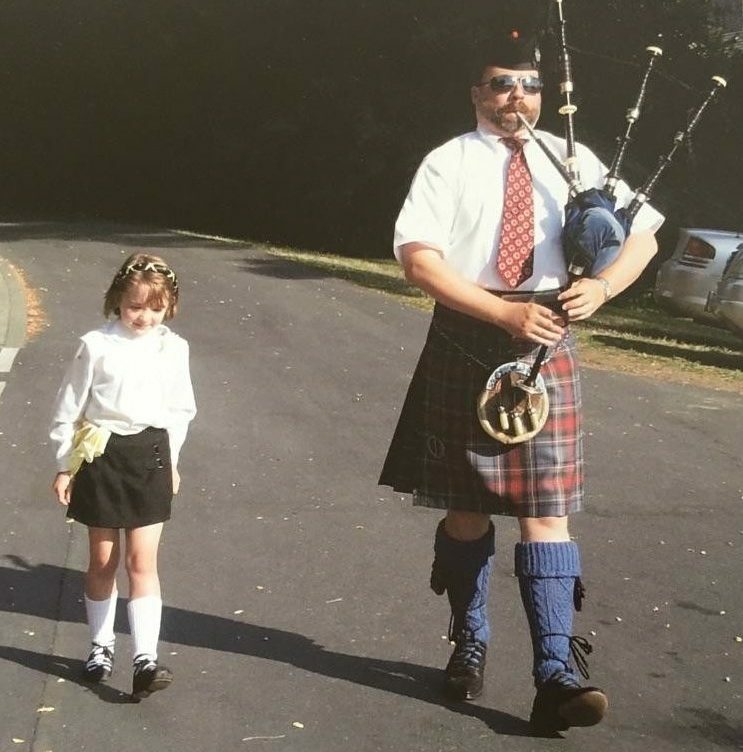 Let’s look at the ingredients of the Great Highland Bagpipe, and see where my Minor in Engineering Physics and skill of intuitive notion comes in…. Highland Bagpipe structure: wood combined with various bits of twine & wax. Age of the Highland Bagpipe: In my case, one is 128 yrs old and the other about 118 yrs old. Highland Bagpipe maker alive to answer questions? Not in my case. Primary resonate chamber: 1 sheepskin bag, made in Glasgow, replaced every three years. Primary energy to produce music with the Highland Bagpipe: Human-pressurized air, with moisture controlled. Number of places air can leak: Infinite. Finally, the Great Highland Bagpipe is in tune with: Itself, if all the above are maintained to a high standard. Not to bad over all. Throw in wind, rain, sun, cold, snow, hail — prep for that and your into a fair bit of musicality while living “Out Loud”! When you bagpipe, history is always being made! I first met Marie O’Connell when she was 6 years old. It was her grandad’s 80th Birthday celebration in Seattle’s Lincoln Park, and I was called to help with the festivities. Little did I know there would be a wee Irish dancer along to help. It was a hot Seattle day, and the celebration was a good one. But the memory had been buried underneath so many others. Fast forward to 2018 — The pipe band I direct, Seattle’s Elliott Bay Pipe Band, was performing our 22nd Annual Father’s Day Concert at the local Hiram Chittenden Locks. It’s always a lovely outing of music with the Band giving back to the community, our audience filled with families that grow with kids each year — a true annual Father’s Day trek for families near and far. Irish dancers join us too, most recently Seattle’s Tara Academy of Irish Dance, providing a lovely visual accompaniment to Elliott Bay’s jigs and reels, swooping in whenever dance tunes are played. Sara Williams leads Tara with the rest of her family, a 3rd-generation Irish dance teacher who’s students include champions and principle dancers in international shows of Riverdance. After the concert last year, Sara told me one of her dancers recognized me from a 2006 family performance — with photographic proof! Marie O’Connell has been dancing with Elliott Bay for a few years, and little did I know we had met so long ago. We took a matching photo to celebrate our ‘ongoing collaboration’. The longer you live your passion, the more new beginnings keep coming at you. Couples I’ve helped marry now have children and special anniversaries they want me to play for. Young students I taught from 9 thru college have me and the band perform at their weddings. 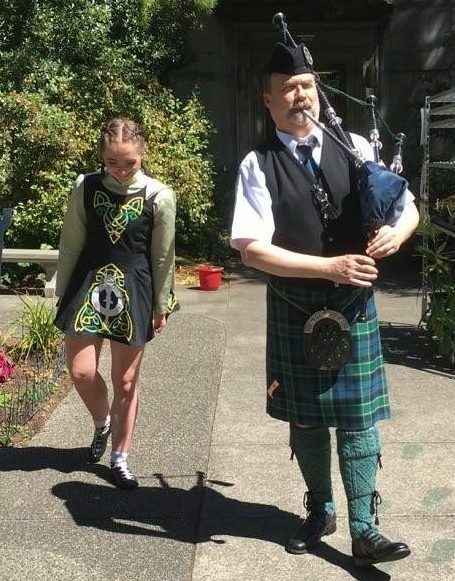 And, after nearly 100 compositions, I’ll be adding more this week — a march for Rod McKenzie, in honor of his being the 10th Chieftain of the Skagit Valley Highland Games; my first Piobaireachd; and hopefully a short suite for Scottish instructor (and friend!) 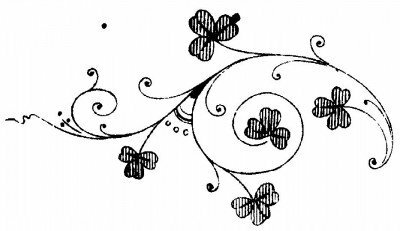 of mine, that penned the 2/4 March “Pipe-Major Tyrone Heade” (gobsmacked with that one, so turnabout is fair play I think…). finally a concert, Basilica di S. Ignazio di Loyola, Rome. 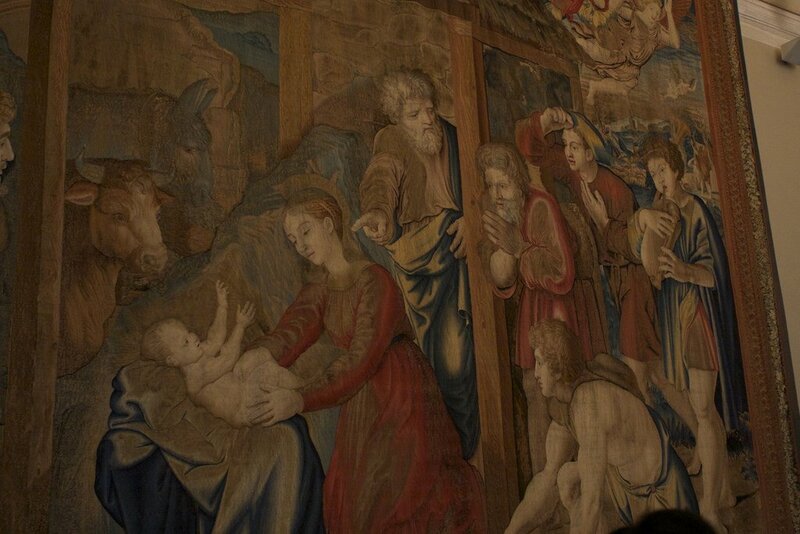 We stayed a block from Vatican City the last few days, taking advantage of visiting the Vatican Museums. I was on the lookout for depicted pipers, almost missing this one. 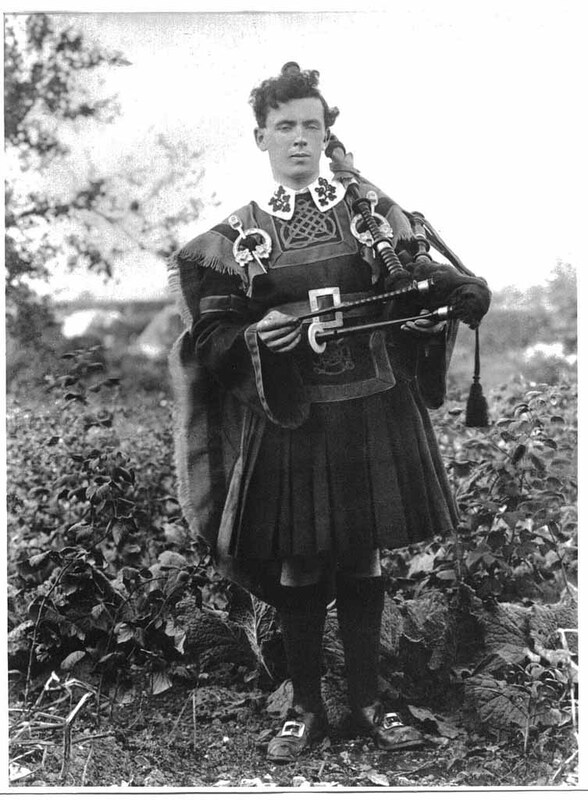 Bagpipes have been around for a long time. How long? Don’t know personally (I wasn’t there). 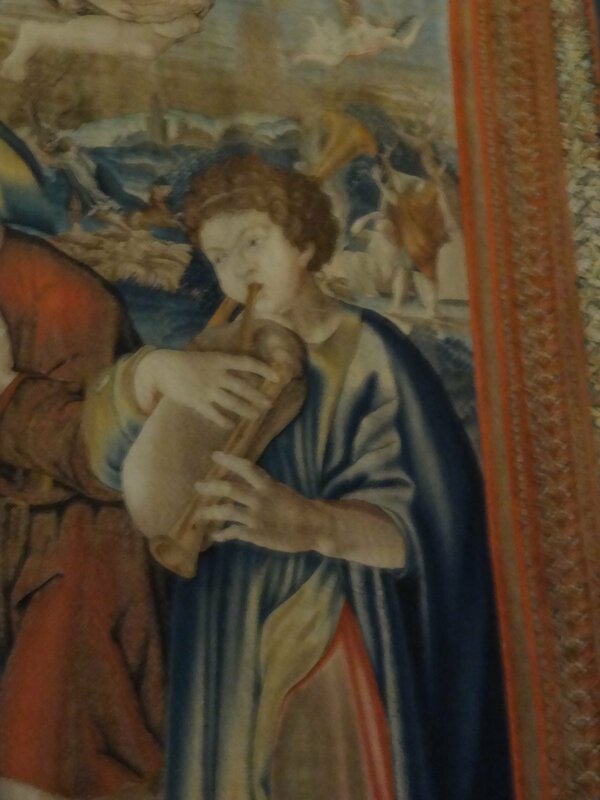 I’m not one of the experts, but it seems that depictions of mouth-blown bagpipes date back to close to 1100 (in stone). The earliest surviving bagpipes, however, are of the bellows-blown variety, according to Hugh Cheape, our most experienced expert on the subject. But I would guess that depictions of native pipers will long outlive their instruments, claimed by dust, moisture and elements over time. How about our music? Our mouth-blown pipes were the electric guitars of their time, stirring hearts and minds just as all impassioned music does over time. Our music is remembered at length I think, given the notes I find in the mail, and audiences I run into years after the performance has ended. 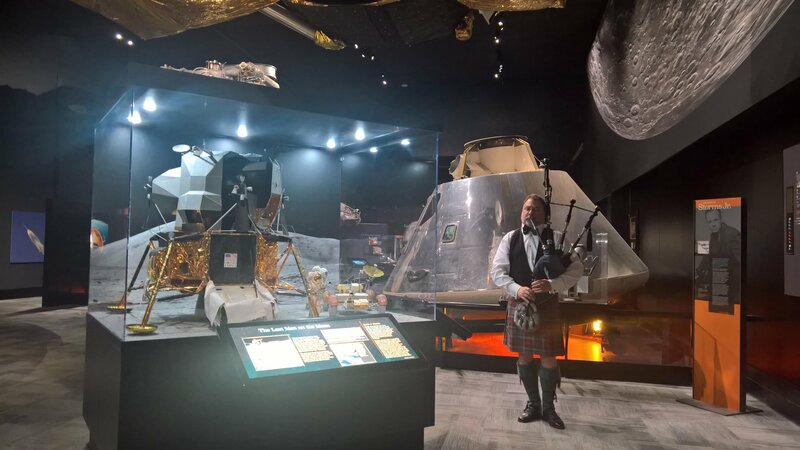 In Space… Everyone can year your bagpipe! Seattle’s Museum of Flight is an extraordinary highlight of the Pacific Northwest. Luscious displays detailing the Wright Brothers, to the Shuttle, the Concord, World War II fighters and Apollo missions all under their own roof. And those are just a brief scratch off the top our lovely Museum of Flight. Space caught my eye in 1st Grade, when I was five. My teacher in Clatskanie, Mrs. Long, noticed I was set on it too. Four years before my introduction to Grandad’s Irish War Pipes, I was all about Space, flight, rockets, gravity, the Moon. When I moved to Seattle in ’88, and became entrenched with the bundle of excitement our Flight Museum presents, well, they were pretty excited about bagpipes as well. In 1984, one of the first fundraisers for the museum involved the Concord arriving in Seattle with over 200 cases of wine for an auction. Greeting the Concord was the City of Seattle Pipe Band, filled with pipers that would teach here for decades. If you’re a tennis player, Wimbledon is your pinnacle; and a dream to just go watch. If you’re a competitive bagpiper – The Glenfiddich *is* your Wimbledon — the stuff that piper’s Dreams are made of. The Glenfiddich Championship is the pinnacle for the world’s top solo bagpipe music professionals. Sponsored by the Grant Family Foundation, the top 10 winning players for the year are asked to compete (Piobaireach, then March/Strathspey/Reel). 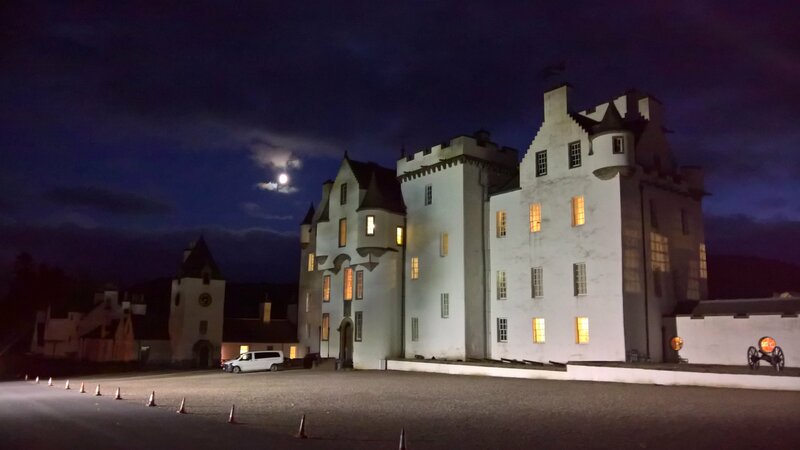 And, like so many things – it’s also about location, Location, LOCATION — Blair Castle, Scotland. And in 2017, it was held on my Birthday. So I took a bought a ticket, had a great jaunt — and an even better Listen! 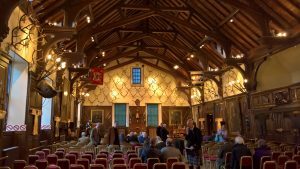 Hosted in the Ballroom of Blair Castle, in Blair Atholl, just inside the southern crest of the Scottish Highlands. 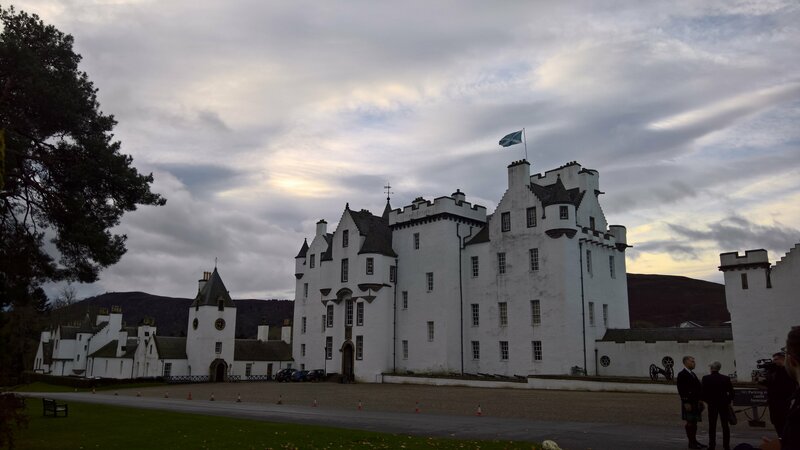 Parts of Blair Castle date from 1296, with additions/renovations/repair and refurbishment thru the late 20th century. The Ballroom is magnificent, seating perhaps 500 fans. 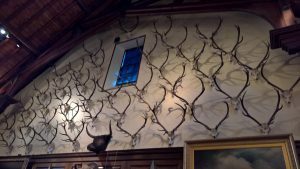 The Ballroom’s significant features are many; the most prominent of which are perhaps over a hundred sets of stag horns creating an intricate design of exciting, dynamic majesty. Backdrop detail of the Glenfiddich Championship stage wall, in the Ballroom of Blair Castle, Blair Atholl, Scotland. Blair Castle Ballroom, Blair Atholl, Scotland. Performance space for the Glenfiddich Championship, the annual world solo Highland bagpipe championship. The all-day event was spellbinding. My own piping improved just sitting there, listening, and realizing once again the heart and soul of what are instrument does, can do and will do. To the Grant Family, thank you for supporting Highland bagpiping so well. And to the family of the Duke of Atholl, who reside still in the Castle today — Thank You for making your home open to the hundreds of us that live, breath and pour our Passion in our instrument! To the Competitors, thank you for your hard work just to make it to the Glenfiddich, and for sharing your music and instrument with those in attendance. All 10 pipers made it a joyful listen, undoubtedly moving me and my music, and that of others, forward for a spirited 2018!